Say it ain’t so, Joe. A recent article at MobileBurn claims that Sprint is expanding its DirectConnect Now service to several of its phones including the popular Samsung Galaxy S4. DirectConnect Now is the spiritual successor to Nextel, providing instant, walkie-talkie-style communication through a cell phone. This is an unsurprising move for Sprint, who is known as much for choosing bad technologies as they are for providing decent service. Don’t get me wrong. There are times that push to talk makes a lot of sense. It’s more direct than using a voice system like Siri to send a text and it means you don’t have to take your eyes off what you’re doing to get a response. For construction workers, drivers, that sort of thing, that makes a lot of sense. There’s a place for it, and Sprint still probably carries a lot of old Nextel customers who came to the cellular world in the first place for the express reason that they wanted a walkie-talkie that works anywhere in the US. Except, you know, if they bring that chirp back. You know the one. 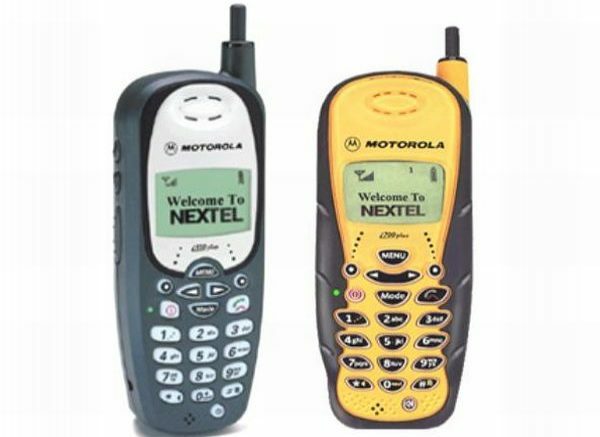 If you’re more than 10 years old you remember when people had those old-school Nextel phones and every time someone pushed the button they would chirp. It was first and foremost an annoying noise but then to have it repeated with EVERY GOSH DARN SENTENCE was just ridiculous. And let’s be honest, there are few things more pretentious than knowing that you’re having a louder-than-average conversation with someone else while you’re in line or in a restaurant, with every sentence punctuated by that severe, annoying squawk.. That’s right, your right to find out whether your friends are late for the movie is far more important than my right to enjoy a little piece and quiet. When texting became commonplace a few years ago, it really quieted the world down. Certainly there were still texting tones but for serial texters they didn’t pop up every time you received one and they never popped up when you sent them. Apparently though, it seems Sprint wants to drag us back to the noisy ’90s with their DirectConnect Now service. The good news here is that if you want to chirp, you’ll pay $5 a month extra for the privilege, meaning most folks who aren’t on job sites or driving trucks will just forego chirping in favor of nice quiet texting, which is as it should be.